www.packtech.gr is the online store of the company named K. KOTSIFITIS & CO G.P. that has the distinctive title “PACKTECH”. Through this store, the company exhibits and sells its products online. The company with VAT Number EL999190829 (IRS Department of Veria) is based in the industrial district of Imathia. Before navigating through this website and the services we provide, users/visitors are requested to read carefully and comply with the following terms and conditions governing the use of our online store and web pages. The user/visitor of this website automatically accepts these conditions. The use of our online shop implies unconditional acceptance of these terms by users/visitors. www.packtech.gr has the right to revise, amend or update these terms unilaterally at any time and without notice and of course, simultaneously, informing the present text of any change or addition. Any changes made will always comply with Greek, European and International laws and regulations in use. 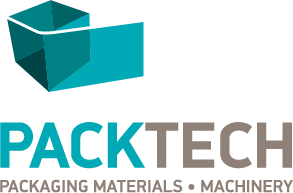 Packtech makes every effort to ensure the accuracy, completeness and credibility of the content on this website, not only concerning the characteristics of the products and services offered but also about the information available here. www.packtech.gr is committed in protecting its customers’ private data and under no circumstances are we to distribute to any third person, organization, corporation, any information concerning users and customers. All the personal details that the user/visitor provides us are stored only for reasons of contact and payments. www.packtech.gr does not give or publish personal data and confidential information. www.packtech.gr is the official website of Packtech.  This website and its content, including images, graphics, photographs, texts, videos and services are the intellectual and industrial property of www.packtech.gr and are protected in accordance with the relevant provisions of Greek and European laws and international agreements. Consequently, none of the above can be, by no means, fully or partially, sold, copied, modified, reproduced, distributed or transmitted for personal interest.